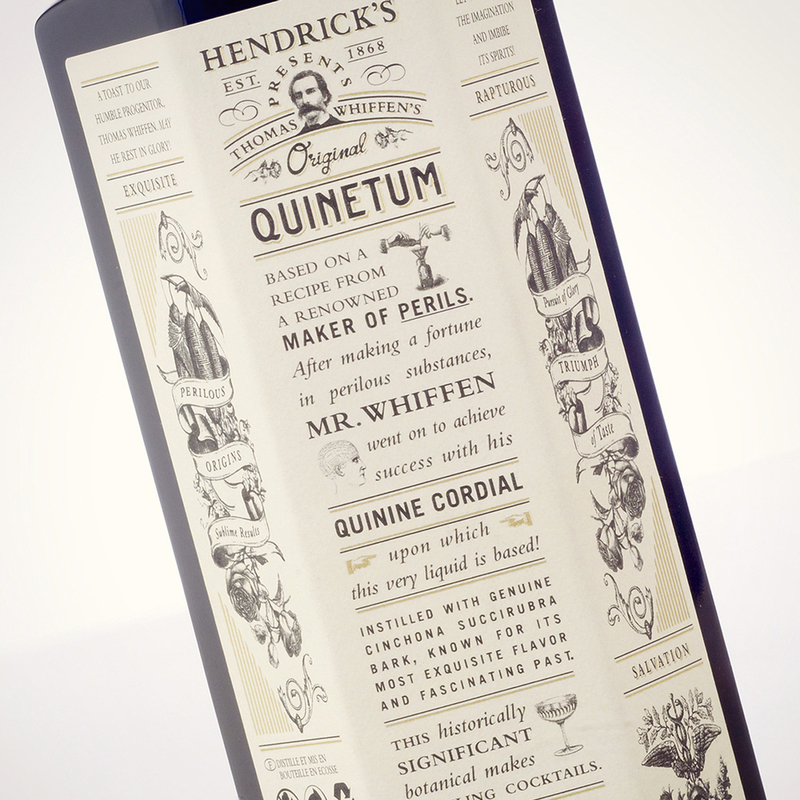 “After much intensive research and development, Philadelphia-based Quaker City Mercantile is thrilled to present Quinetum, a highly exclusive quinine cordial from Steven Grasse, creator of the iconic Hendrick’s Gin. Quinetum is a unique and complex blend comprised of Cinchona Succirubra Bark, from which Quinine is derived, and a range of botanicals (4% ABV ethanol). 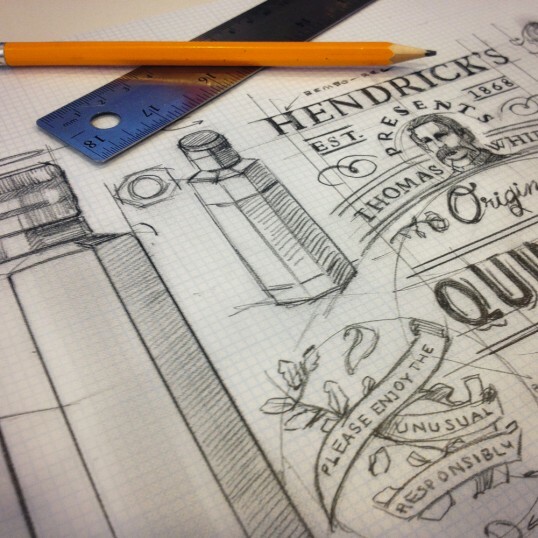 It is designed to be a bartender’s tinkering tool when used as a cocktail ingredient or can be lengthened with soda water and combined with Hendrick’s in place of tonic. “Hendrick’s Gin master distiller Lesley Gracie created this complexly flavored cordial, bittersweet with a slightly syrupy mouthfeel and notes of floral lime and orange zest with rose petal and lavender. Quaker City Mercantile spearheaded Quinetum’s concept and design. Really nice old school look and feel on this bottle+label.